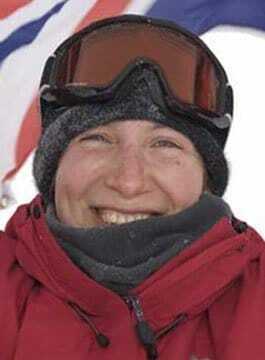 In 2009 Fiona led the 38-day, 911km Kaspersky Lab Commonwealth Antarctic Expedition, the largest and most international women’s team ever to ski to the South Pole. The team included women from Brunei Darussalam, Cyprus, Ghana, India, Jamaica, Singapore, New Zealand. Felicity was responsible for selecting and training this diverse, multicultural team of ‘ordinary’ women for one of the most arduous journeys on Earth. Her book about the expedition, ‘Call of the White: Taking the World to the South Pole’ was published in March 2011 and was a finalist in the Banff Mountain Book Competition. Expedition in Iceland for young people with a brain injury. A member of the first all-female team to complete the Polar Challenge, a 500km endurance race to the magnetic north pole. As a motivational speaker, Felicity Aston has shared stories of her adventures with audiences world-wide. Each presentation is uniquely tailored with absolute flexibility and is accompanied by stunning expedition photography and footage, to ensure that the event has a lasting impact on the audience.